Patrol members will shoulder responsibilities that will strengthen character and provide an opportunity to help fellow students develop a better understanding of pedestrian and vehicular traffic hazards. Members are selected for their leadership, courtesy, dependability, interest in their job, physical fitness, attitude toward others, and scholastic standing. Members are selected from the 4th and 5th grades. 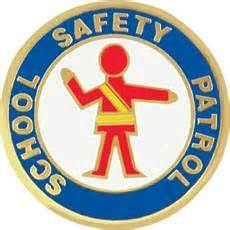 Safety Patrols are scheduled for one week, with members being rotated each week. The schedule is posted for each week on the Safety Patrol closet door.